Last month, I wrote about weighted blankets for improving sleep. After using a weighted blanket for more than a month, I think it is actually helping me sleep. I am falling asleep faster, getting up fewer times at night, and usually going right back to sleep. I am even sleeping later in the morning, which is terrific. I think the daytime fatigue has even improved. 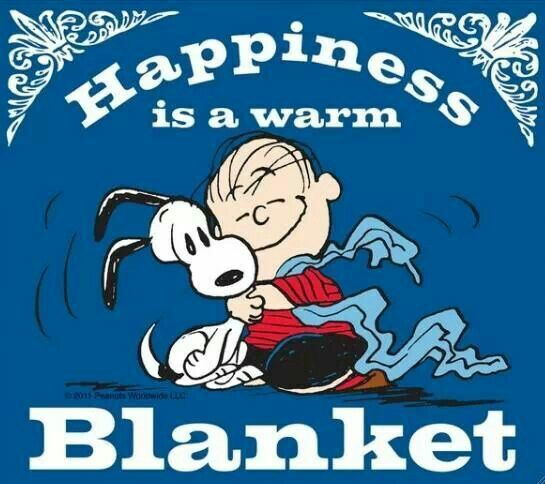 and get the best blanket that you can afford. I bought two different blankets and there is a very big difference between the two. The better blanket is on my bed. I keep the other in my family room to cuddle up in while reading or watching tv, and to use on those few nights (which are increasingly fewer) when I cannot get back to sleep in the middle of the night. Don’t want to lay out the money? Pile a bunch of blankets on your bed to get some extra weight and see if it helps. Now, while it is still winter and cooler at night. When it is hot at night during the summer, this could be a problem for you. IF the extra weight helps, then consider getting a weighted blanket for summer, which may not be as hot for you. I don’t know about the rest of you, but I cannot sleep with just a sheet during the summer, no matter how warm it is. I still need the extra weight of a blanket or comforter. Cocooning really works, which is the theory behind the weighted blankets. So how do you choose? Look at the ratings and comments on the blankets on Amazon or other websites. Here are a few of the higher rated blankets: Quility Premium Adult Weighted Blanket & Removable Cover (this is the one I like), YnM Weighted Blanket, ZonLi Weighted Blanket . For information on how to buy a weighted blanket, go to my post from January 22, Weighing in on Weighted Blankets. Let me know if a weighted blanket works for you. Researchers in Scotland have developed a novel wearable electronic device worn around the waist, called ‘cueStim’, designed to prevent or relieve freezing of gait, commonly described by peoplewith Parkinson’s, as a feeling as if their feet are stuck or glued to the floor preventing them from moving forward. For more information click here. I read an article in The Week magazine yesterday titled An Epidemic of Loneliness. According to the authors, social science researchers define loneliness as “the emotional state created when people have fewer social contacts and meaningful relationships than they would like – relationships that make them feel known and understood.” They go on to say that up to 50% of Americans feel lonely. Isolation is on the rise for various reasons, and as you probably know, it can be very high among People with Parkinson’s (PwP’s). The feeling of isolation can be devastating in many ways. Many PwP’s withdraw from social activities at some time. 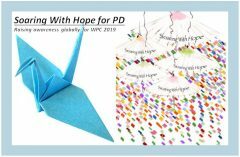 Often they withdraw when first diagnosed, because they do not want anyone to know that they have PD or they are afraid people will notice their symptoms. Later they withdraw because of mobility issues and worsening symptoms. The loneliness they experience may cause other problems. According to the authors of the article, loneliness triggers the release of stress hormones, particularly cortisol. Normally cortisol helps make people more alert. These same hormones can damage health over long periods of time, causing high blood pressure, a weakened immune system, depression and more. For a PwP, isolation can cause a downward spiral of poor health and worsened symptoms, making it increasingly difficult to get out and do anything. I agree with him 100%. Being a part of a group is one of the best things you can do to reduce loneliness. Even if you cannot physically attend, with today’s technology, you can video chat with a group and still feel that you are a part of something. Maybe you chat on-line, or participate in a Facebook group where you have interaction with others. Any contact that you can make with others who understand how you are feeling can give you a much needed dopamine boost. Recently I wrote about the “non-support group” that I started. The underlying factor that has made it successful is that the women who participate have found those necessary connections with others that give them hope. Sometimes just knowing that there is someone you can call, or email, when you are feeling lonely and isolated, is enough to give you hope. And that goes for any chronic illness.